Challenge your eyes (and your brain) with these optical illusions. Take a look at the following pictures. What do you see? Try counting the black dots. Notice anything strange when you try to do this? 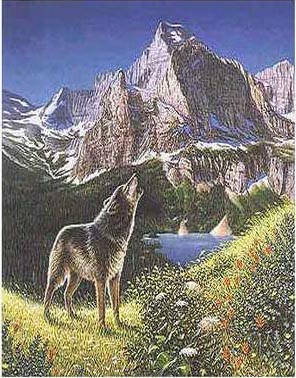 Can you find 5 wolves in this drawing? Look at this picture and try to say the colors of the words, not the words themselves. Is this difficult to do? Which center circle is bigger? The one on the right or left? Do you ever get excited when you see someone making something interesting? It’s not for you, and you have no idea who it’s being made for, but you want to lurk around and watch it grow. What am I watching? Kei crocheting, of course! There are plenty of peculiar words in the English dictionary – words that nobody uses nowadays and pose quite a challenge for anyone who tries to pronounce them. Can you guess what the following words mean?